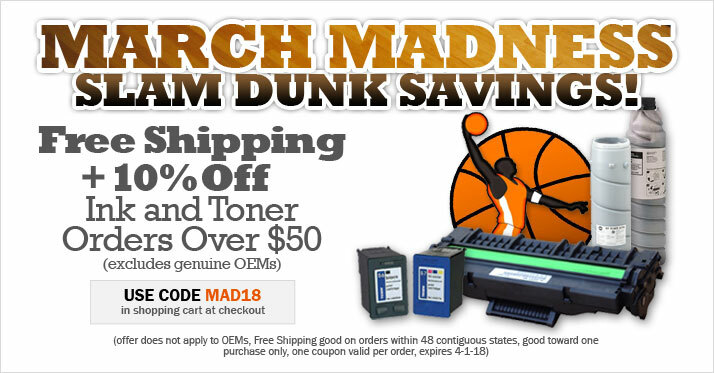 Your bracket might be busted, but your wallet won't be with the savings you'll find on ink and toner at Ink4Less. Shop now and get Free Shipping + 10% Off inkjet and laser toner replacement cartridge orders over $50 (excludes OEMs). Some restrictions apply. Discount does not apply to OEM products, Free Shipping good in 48 contiguous states, good towards one purchase only, cannot be combined with any other offer. Offer available Thursday, March 22nd 2018. Expires Thursday, March 22nd 2018.